The purpose of the KY Pro Football Hall of Fame is to appropriately honor persons that have brought significant recognition to the state of Kentucky, or have by their unusual successful service achieved significant accomplishment on behalf of their school, or have by a significant act or contribution distinguished themselves as an unusual former National Football League player, coach, referee, owner, manager, etc., or have been a significant or unusual supporter of Pro Football. "Kentucky is the only state with a Pro Football Hall of Fame"
The 2018 Kentucky Pro Football Hall of Fame Induction Ceremony Date: June 22, 2018 Location: Lexington Opera House 401 W. Short Street, Lexington KY. Join us in June and be a part of living history as we celebrate the Kentucky Pro Football Hall of Fame’s 16th Anniversary and the Class of 2018 as they are inducted in a special ceremony at Lexington’s Opera House. The Kentucky Pro Football Hall of Fame has chosen the Boys and Girls Club of the Bluegrass as the beneficiary for their annual ceremonial weekend. The Hall of Fame grew out of an interest, spearheaded by Frank Minnifield, to bring current and former pro football players from Kentucky together to host football clinics for children. This year marks the group’s 15th anniversary. The Blanton Collier Sportsmanship Group, Inc. is a non-profit corporation organized by volunteers who are interested in the health, safety and well being of young athletes. Their mission is to provide standards, guidelines and education on the ethics of coaching for coaches of all levels of athletic competition, and for parents and athletes; to honor and hold up as models coaches who emulate the ethical standards for which Blanton Collier was known. 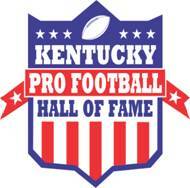 This year marks the 17th anniversary of the Kentucky Pro Football Hall of Fame. The Hall of Fame grew out of an interest, spearheaded by Frank Minnifield, to bring current and former pro football players from Kentucky together to host football clinics for underprivileged youth. In 1994 and 1995, Minnifield hosted a clinic at the Aspendale Housing Projects and Henry Clay High School, and invited other retired NFL players to join him in leading it. From there, they created a new chapter of the NFL Players’ Association in Kentucky in 1996. Since its founding, the group has raised more than $1,000,000 for youth organizations. Later, the Hall of Fame was established, and a selection committee chose the first class of athletes to be inducted. In 2018, the Hall of Fame will induct its 17th class of athletes into its ranks. The purpose of the Kentucky Pro Football Hall of Fame is to appropriately honor persons that have brought significant recognition to the state of Kentucky, or have by their unusual successful service achieved significant accomplishment on behalf of their school, or have by a significant act or contribution distinguished themselves as an unusual former National Football League player, coach, referee, owner, management, etc. or have been a significant or unusual supporter of Pro Football. Kentucky is the only state to have its own Pro Football Hall of Fame that honors players, coaches and contributors connected to our state. KENTUCKY PRO FOOTBALL HALL OF FAME, INC.